100 years ago, the RMS Titanic sank in the north Atlantic Ocean after colliding with an iceberg. Her sinking is one of the deadliest peacetime maritime disasters in history with approximately 1,500 casualties. 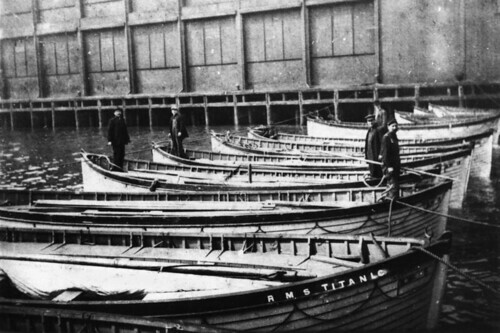 The tragedy caused widespread public outrage, and inquiries set up in the wake of the disaster recommended sweeping changes to maritime regulations that led to the establishment of the International Convention for the Safety of Life at Sea in 1914. It still governs maritime safety today. 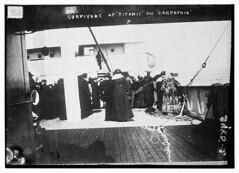 You can see more historic images related to the Titanic tragedy in The Commons on Flickr. Photos from National Maritime Museum, The Library of Congress, and State Library of Queensland, Australia.